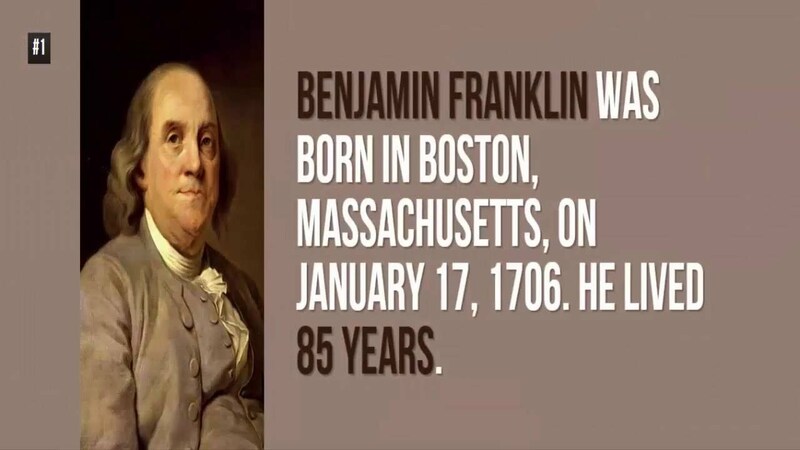 Benjamin Franklin Facts: did you know that... Benjamin Franklin was born in Boston, Massachusetts, on January 17, 1706. He lived 85 years? Interesting Facts about Benjamin Franklin. Since 1928 Franklin's portrait has been in the $100 bill. Benjamin Franklin and Alexander Hamilton are the only non-president appearing in US dollar bills. From 1948 to 1963 Franklin's portrait was on the Half Dollar.